If you visit a civic building in the UK, you would expect it to be safe and secure. And, it would be in the public interest to know if there were, say, any fire safety defects. If it were a hospital and you had a relative staying there who was ill or bed-bound, you’d reasonably be interested in what was being done to fix them. So what happens when the information on safety defects is part of a contracted-out public service and the information is held between the prime contractor and its subcontractor. Does your right to know still apply? Alas, probably not under the current Freedom of Information (FOI) regime in the UK (and in many other places around the world). Put simply, if it is a public body delivering a service, you have a right to know what is going on as set out in the UK’s FOI Act. But if it’s a private company delivering a contracted out public service the transparency requirements are ambiguous, messy and confusing. This growing grey area in public accountability was at the centre of a frank and worrying report that the UK’s Information Commissioner launched in London last week. 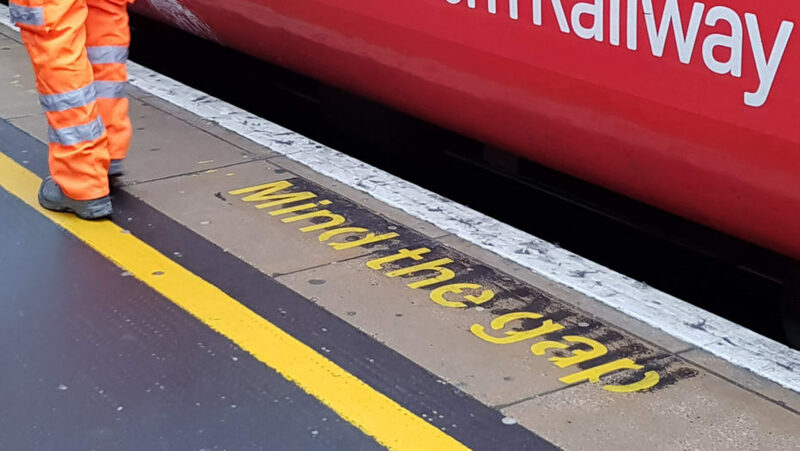 If you travelled on the tube to get there, you would have heard the polite warning to “mind the gap” between the train and the platform. Similarly, the Information Commissioner is politely but firmly warning us about the growing “transparency gap” between public services and the private companies delivering them. “My job is to uphold information and privacy rights on the public’s behalf. This requires me to ensure that the legislation regulated by my office fulfils its objectives and remains relevant. In the modern age, public services are delivered in many ways by many organisations. Yet not all of these organisations are subject to access to information laws. Maintaining accountable and transparent services is a challenge because the current regime does not always extend beyond public authorities and, when it does, it is complicated. The laws are no longer fit for purpose”. The example I gave earlier was not hypothetical. Fire safety surveys by a construction company (Carillion) showing defects in a public-private partnership (PPP) hospital where not subject to the FOI regime as they were deemed not to be held directly by the government body concerned (in this case a National Health Service Trust) but by its contractor (the private PPP entity). The report cites similar concerns with access to information on fire safety from contracted-out local housing trusts in the wake of the tragic Grenfell Tower fire where flammable cladding fuelled the blaze, killing 72 people. Whistleblowing by private staff and quality of care by outsourcers providing NHS services. None of them seem outlandish: they are all part of the day-to-day dialogue between citizens and public interest groups and their government on how public money is being spent. They seem to be topics that anyone would regard as in the public interest. The report cites polling by the Information Commissioner’s Office in 2017 showing that although roughly 80% of people think this kind of information is important, only 23% felt that information about the activities of private companies delivering public services was accessible. In contrast, some 40% to 50% of people thought that the actual parts of government were accessible. The UK’s FOI regime allows the government to extend FOI to other bodies with a public function or that are “providing under a contract made with a public authority any service whose provision is a function of that authority” (Section 5.1b). But it has been used very little in practice, perhaps because of concerns over harming competition or deterring companies for bidding for public contracts in the first place. It is important not to believe the myths around commercial confidentiality and harming competition. Indeed, our mythbusting confidentiality report is cited by the Information Commissioner as evidence. After speaking to over 70 experts and studying 20 different countries, we found that releasing information is rarely harmful to commercial interests and tends to increase competition (as long as there is a level playing field). The ICO also suggests that Section 3 of the FOI Act is amended to extend the regime directly to public sector contracts, which would create a level playing field for everyone. That makes a lot of sense and is already the case in Scotland (to a limited extent), Ireland, New Zealand, and Mexico. Of course, as well as the reactive information gap, the UK’s proactive information regime is also very fragmented and ambiguous. We’ve blogged on that extensively. As the single largest item of government spending – some GBP 284 billion – it’s pretty crazy that the UK has such a patchy and fragmented view on what it is spending its money on. It’s bad for public efficiency. A digitised, open, responsive procurement system could probably save the UK billions of pounds as well as a huge amount of time for public servants and private companies. As I write, Interserve -– one of the UK’s largest contractors – i– awaiting a life-saving cash-for-equity swap for its continued survival. This comes after the implosion of Carillion, another mega-contractor, last year. So it is not as if the current UK public procurement and outsourcing regime is working well for the private sector either. Admittedly, the UK government has a lot on its plate, but these transparency gaps are vital to public trust and efficient spending. They can’t be ignored. So thanks to Ms. Denham and the ICO for keeping the pressure on and making such a compelling case for change. I’m continually inspired by all our smart partners working to get better results from public procurement around the world from Argentina to Zambia. Let’s #MindtheGap in the UK and #OpenItToFixIt at home too. Getting personal – is it our business to mind yours?